What is an Independent Physician Association (IPA)? An Independent Physician Association is a network of independent private physician practices who are supported by IPA staff (outside the doctors’ offices) to help coordinate comprehensive health care services, health education, disease prevention programs, claims processing and other administrative services for our members and doctors. 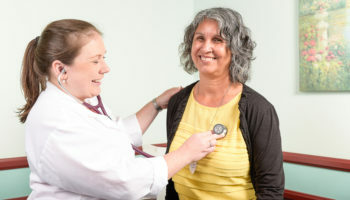 What is a PCP (Primary Care Physician)? A Primary Care Physician is a broadly trained and experienced doctor who is trained in Family Practice, General Practice, Internal Medicine or Pediatrics. Your PCP is the physician you select as responsible for providing all of your primary medical care and coordinating any specialty care you may need. Each of your covered family members may select his or her own PCP based on services that are most appropriate for individual needs. My Primary Care Physician (PCP) advises that I need to see a specialist. Now what happens? Your PCP will submit an authorization request to Greater Tri Cities IPA. Once approved, you will then receive an authorization in the mail. Routine authorization requests are reviewed and completed within the standard turnaround time frames. For commercial members this time frame is 5 business days. For Medicare Advantage members this time frame is 14 calendar days. We make every effort to far exceed these turnaround time frames. Remember – in order for a claim to be paid, you must have an authorization for the service. Emergency services are those health care services provided to evaluate and treat medical conditions where immediate medical care is required. 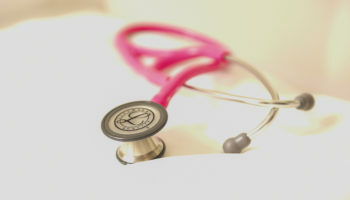 An emergency medical condition can consist of one or more of the following symptoms: Difficulty breathing, shortness of breath; chest pain/pressure; seizures (convulsions); fainting, trouble talking, dizziness; changes in vision; confusion; uncontrolled bleeding; severe/persistent vomiting or diarrhea; coughing up or vomiting blood; suicidal feelings; unusual abdominal pain; suspected broken bones; eye pressure; asthma attach; possible ingestion of poison, or medicine overdose. If you or a family member should experience a life threatening emergency, it is very important that you go to the nearest emergency room. Most emergency rooms will contact your insurance company to advise of your condition, discuss your treatment plan and also determine where bills should be sent. Upon your return home, be sure to contact your primary care physician (PCP) provider to advise them of your illness while away from home. It’s important that your medical records are updated and if you should need to receive continued care for the condition, your PCP will be the one coordinating any care you need. How does Greater Tri Cities IPA work with my Health Plan? Greater Tri Cities IPA (GTCIPA) represents your physicians. Your health plan (for example Anthem Blue Cross, Health Net, and Care 1st) requires you to choose a primary care physician (PCP) . You’ve chosen a PCP with GTCIPA. Your PCP and GTCIPA will be coordinating all of your care, using our specialty and hospital networks. Your health plan determines your benefits such as your co-payment amount when you see a physician or go to an emergency room. If you have your insurance through your employer, your employer and insurance company work together to determine what your monthly premium will be and the premium is paid directly to your insurance company by you or your employer. Am I required to pay a co-payment? Not all plans or services require a co-payment. When they do, all co-payments are made to the provider of service at the time services are received. Remember, your insurance company determines your co-payment amount. This rate is not established by your physician or Greater Tri Cities IPA. What if I receive a bill? If you have received an authorization for services or if you have self-referred for a service that does not require authorization, like gynecological consultations and certain radiology procedures, you should not receive a bill. There are times when labs or radiology departments may send their patients a bill because they did not get complete information at the time of service. Whenever you receive a bill or statement, please phone our Customer Service Department (760) 941-7309 option 3. Greater Tri Cities IPA IPA does not want you paying for something that could have been sent to you due to clerical error. I want to change my PCP, how do I do that? Please call your health plan and tell them you want to change your Primary Care Provider. Please be sure the provider selected is listed with Greater Tri Cities IPA. You may call our customer care line at (760) 732-0272 for additional assistance. How can I obtain a copy of my entire medical record? To obtain a copy of your medical records, please contact your primary care provider or specialist. The provider might charge a small fee for providing copies. What if I don't agree with the outcome of my referral request? If you are not satisfied about a decision regarding a referral request . Please refer to the Evidence of Coverage (EOC) provided by your health plan for detailed instructions on how to file an appeal. Or, you can call your health plan member services department directly.